QuantumBlack, a McKinsey Company, helps companies use data to drive decisions. We combine business experience, expertise in large-scale data analysis and visualisation, and advanced software engineering know-how to deliver results. From aerospace to finance to Formula One, we help companies prototype, develop, and deploy bespoke data science and data visualisation solutions to make better decisions. In today’s competitive environment, organisations that respond faster to change, with better insight and greater precision, hold a sustainable advantage. At the same time, information has gone from scarce to superabundant, affording an unprecedented opportunity for them to do so. Effective decision-making is therefore increasingly underpinned by data processing and technology capabilities. 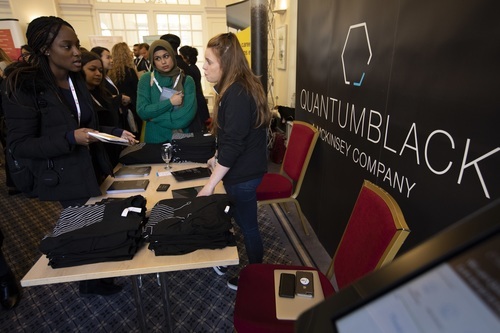 For more information on the opportunities we have at QuantumBlack please check out our careers page https://www.quantumblack.com/careers/ or feel free to check out our LifeAtQB Instagram page and our Blog.